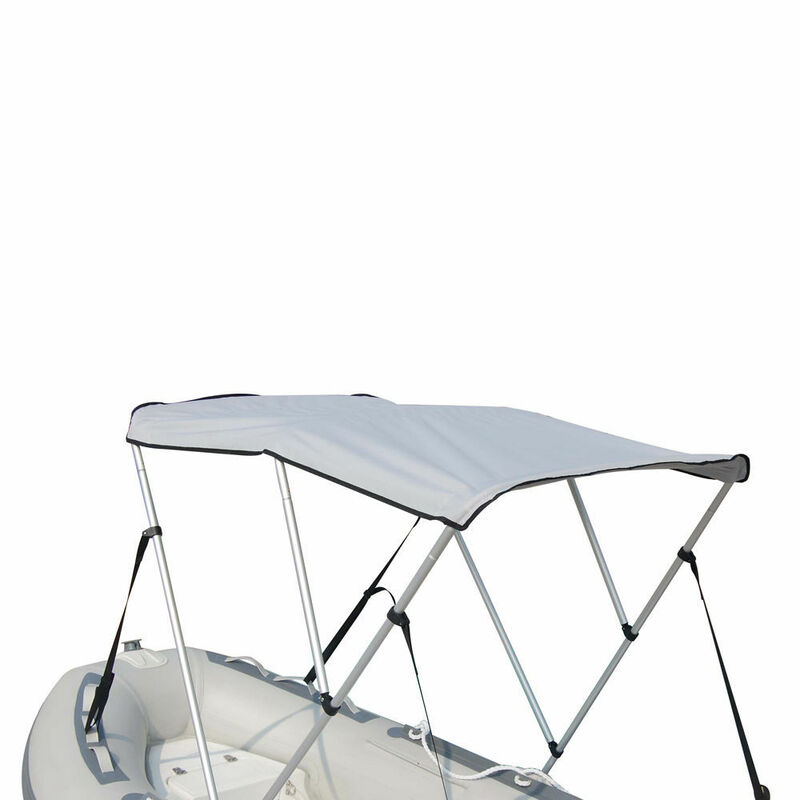 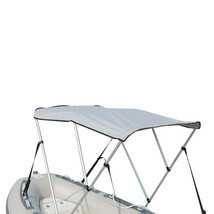 This 3 bow bimini top cover offer comfort while you are boating as they protect your boat from direct sunlight and harsh conditions such as hail and rain. 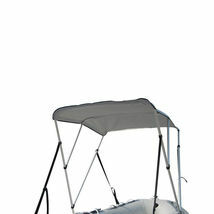 Marine grade polyester 600D gray canopy coated PU for water proof and mildew protect. 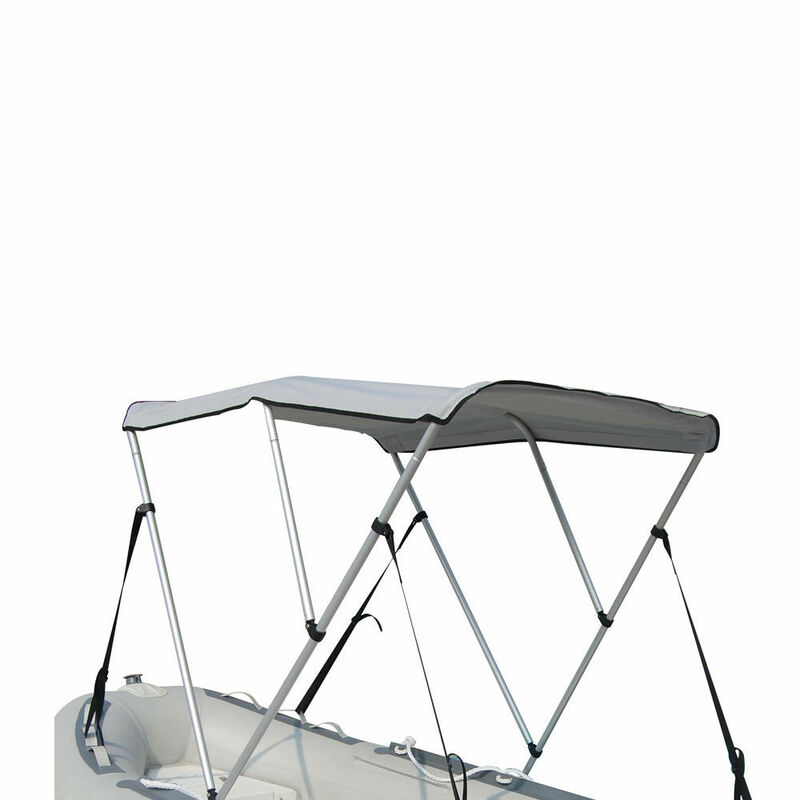 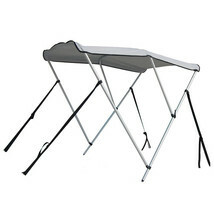 Suitable for boat size 14 to 15 ft , Installtion width: 64'' ± 3'' . 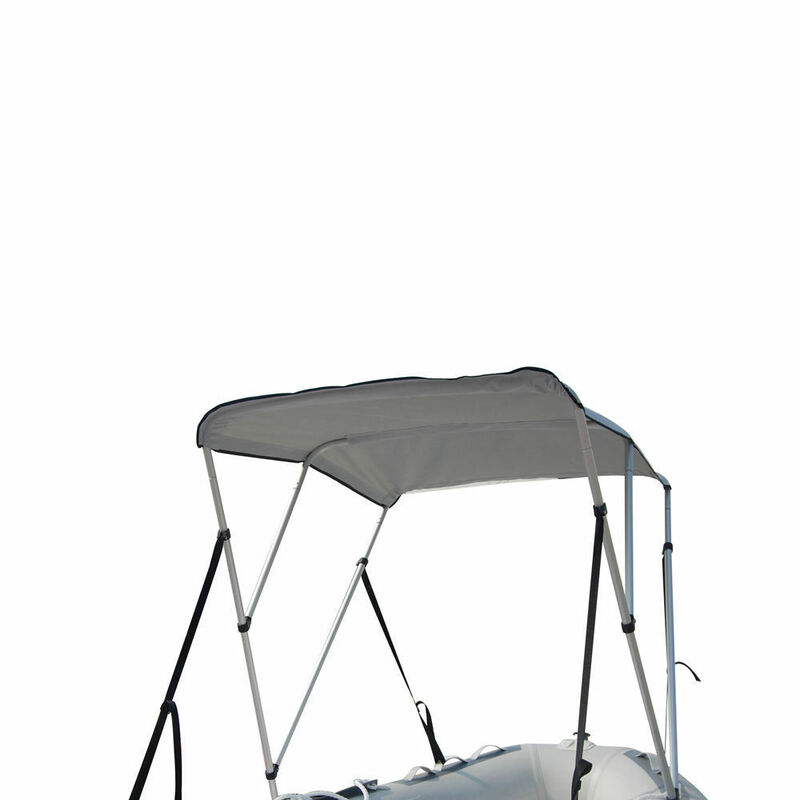 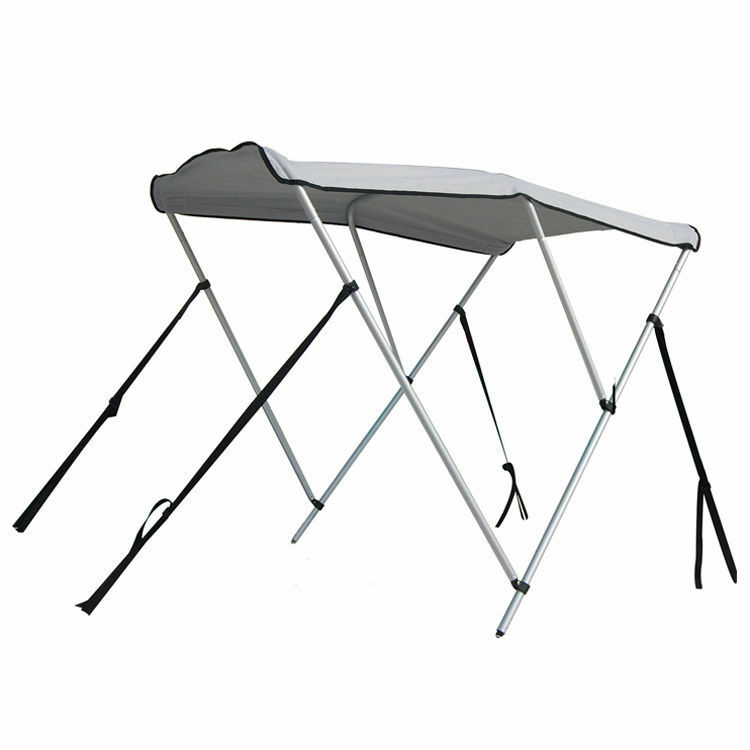 3 bow aluminum pole, Canopy 64'' x 58'' , height: 46'' .